I have struggled with my weight my whole life. While I’m not someone who is considered obese, I’ve almost always carried between 20 and 30 pounds of extra weight. My addiction to food, for both pleasure and comfort, combined with my genetic predisposition to gain weight has made shedding pounds a constant challenge. I’ve tried fad diets, calorie counting and Weight Watchers and, while there has been initial success, I usually ended up back where I started, proclaiming loudly, “Who cares if I’m fat? At least I’m happy.” (Yes, food and drink make me THAT happy!) The only diet that put me in the 130-pound range was what I’ve dubbed The Diabetes Diet. I ate and ate, the pounds melted off and I was down to a size 6. Of course, the reason was because my body was developing adult onset Type 1 diabetes, so that was probably not the best weight loss program. It was the easiest though. So, here I am, once again attempting to lose weight and make healthy choices. I am not a fitness instructor or nutritionist but I thought that I would share the things that have worked for me. Perhaps they will work for you, too. Eat foods that are organically low in fat and calories. Reading food labels and calorie guides becomes an obsession for me when I am trying to lose weight and feel healthier. When I’m not eating right, I think nothing of picking up a Big Mac from McDonald’s but I’m always shocked when I am being conscientious and am reminded that there are 530 calories in one sandwich and 27g of fat! When I follow a Mediterranean or Weight Watchers type diet, I focus more on lean proteins (chicken, fish, beans, egg whites) and lots of fruits and vegetables. It is also important to pay attention to the fats that you consume. I eliminate or minimize butter from my diet and use olive oil (usually from a Misto) or a light butter substitute like I Can’t Believe It’s Not Butter Light. I also try to incorporate at least one serving of dairy into my daily intake, usually in the form of a low fat yogurt, cheese or a glass of milk. Get active for at least 20 minutes per day. This is usually the hardest aspect of weight loss for me. I was NEVER the athletic type. I hate running and yet, when I do get moving, I find myself incorporating walking/running into my exercise routine. I think it is also important to diversify your workout. Walking and running is usually the easiest way to incorporate cardio into your life but there are other ways: Zumba, swimming or ball sports are great ways to get moving that don’t seem quite as mundane as a half an hour on the treadmill. Strength training is also an important element of your routine, whether it is free weights, Nautilus machines, resistance training or a DVD targeting abs, legs and/or arms. Drink at least 64 ounces of water per day and limit your intake of carbonated beverages and juices. It is fairly common knowledge that it is important to consume eight 8-ounce glasses of water per day, whether you are dieting or not. Not everyone needs exactly 64 ounces, so check out this way of calculating your water intake requirements based on your weight and activity level. Staying hydrated is important to flush out impurities, increase energy, aid in weight loss and maintain regularity. Additional benefits of consuming water are an improved complexion and saving money! If you eat at a restaurant once a week and you only ordered water, you could stand to save $150 or more a year, depending on what you normally order. Drinking a glass of water before mealtime not only helps to increase your water intake, it also helps to trick your mind into thinking you aren’t as hungry. If you aren’t a fan of water, these helpful hints for consuming more water are worth looking into. Take a multivitamin every day. This is a habit that I picked up from Weight Watchers. While it is important to pay attention to the nutritional content of the calories you are consuming, your food may not always provide the vitamins and minerals you require. My stomach is sensitive to multivitamins so I take One-A-Day Vitacraves, which are gummy vitamins that are easier on my stomach. There are variety that meet varying needs: immunity, energy, Omega-3, etc. Measure and weigh everything that you put in your mouth. This is one of those areas where there stands to be a large margin of error. When I’ve done Weight Watchers, I would start out weighing and measuring everything and then I’d get lazy and “guesstimate” the quantity. Sometimes, obviously, it is impossible to weigh and measure but, when you are at home, there is no excuse. For under $20 you can get a decent digital kitchen scale with a zero/tare function and it is worth every penny, I assure you. I am often surprised and how much (or how little) 4 ounces of something ends up being. Do not drink your calories. I love martinis. I love beer. I love wine. Without doubt, if you consume alcohol, you should allow yourself this indulgence from time to time. However, in addition to the effects that alcohol has on your body and your sleep, it is highly caloric. A 3-ounce Grey Goose vodka martini is 240 calories! By the way, my martini glasses hold 6 ounces of liquid, so when I’m making a martini at home, a martini glass with 3 ounces is not half full, it is half empty! A light beer or a glass of wine is a less caloric way to go but a couple glasses of an adult beverage can definitely add up. Track the calories that you consume and the calories you burn. 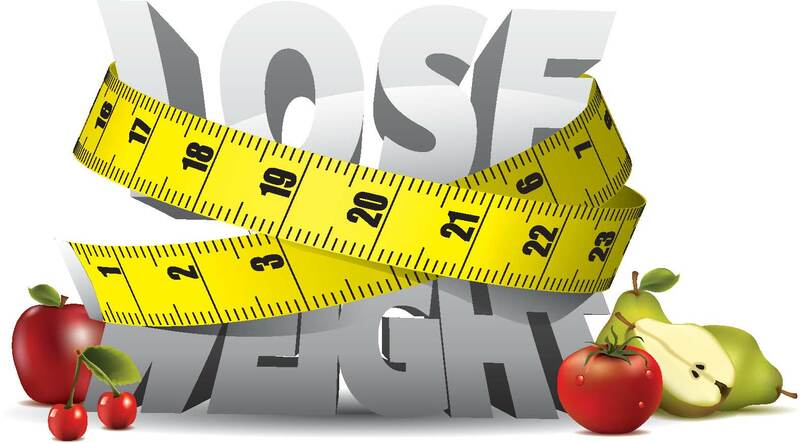 Whether you are doing it through Weight Watchers points or calorie counting, you simply must track what you are eating. You can do it the old fashioned way, with pen and paper, but there are so many apps available for Android and iPhones or on your computer. With the most recent IOS release, Apple has the Health app where you can track measurements, fitness, nutrition and sleep. I personally use the MyFitnessPal app, which is also available from your computer, because it syncs with my Fitbit. If you don’t have a Fitbit or other activity tracker, I would highly recommend investing in one. As silly as it seems, when you hit your step goal and the little device lights up and vibrates, it really does feel like you’ve accomplished something. I also like the MapMyFitness app because it does a live GPS tracking of walks/runs, in addition to other workouts. One thing I have found with these apps, however, is their tendency to over-assess the calorie burn. If you are using an app to track intake and burn, don’t eat back the calories or use the activity points. If you must, reference this site from the CDC which more accurately depicts the calorie burn for exercise. Allow yourself a treat from time to time. The thing I hate about changing my eating habits is that I feel that I’m depriving myself of the things that I love. I’m not really a sweets person but for some reason, when I am monitoring the foods I eat, I find I have insane cravings for things like chocolate ice cream. This is where your discretion comes in. I am perfectly happy with a half a cup of fat free chocolate frozen yogurt. If you are a purist, however, make the indulgence and have the Hershey’s chocolate (whether it’s a kiss or full candy bar). Just make sure you account for it in your daily intake. Schedule a “cheat day” for yourself. I allow myself two cheat days a month. How you define cheat day is up to you. In my mind, I intend for it to be a day when I won’t track and food, drink or exercise, knowing the plan is to get back on track the next day. However, on cheat days I usually end up being aware of the long-term plan and find myself making smarter choices. Instead of a dozen buffalo wings and fried mozzarella, I might have only six buffalo wings and a salad with shredded mozzarella. Instead of that yummy 300 calorie IPA, I opt for a 95 calorie Amstel Light. Weigh yourself only once a week. This is one that I have a very difficult time sticking to. I’m constantly thinking about the number on the scale. The prevailing opinion is to weigh yourself once a week because of how gains and losses vary from day to day. I’ve seen some diet experts recommend weighing yourself daily so that you can see the direction the scale is going. To see the big losses or gains, once a week is probably the best way to do it. Right now, I’m weighing myself every other day but I intend to change that habit. Understand that a pound of muscle does not weigh more than a pound of fat. This reminds me of the old riddle, “What weighs more? A pound of feathers or a pound of rocks?” The answer is that they both weigh the same. The same applies here. A pound of muscle weighs the same as a pound of fat, so it should not be factored in to your weigh-in number. The difference is that muscle tissue is denser and leaner than fat tissue. The reality is that a pound of muscle takes up less space than a pound of fat. Where the change can be seen is not on the scale but when you compare your measurements over time. Reduce salt intake. I am a saltaholic. I would sooner give up my dirty (read: salty) martini before I give up salt. Salt is another weakness of mine but I do know that it is a dieter’s enemy. In addition to the negative impact salt has on blood pressure, maintaining a high level of sodium forces our bodies to retain water in order to dilute the presence of salt. By reducing sodium levels in our diets, we stand to lose 2-3 pounds in water weight alone. Eat spicy food. Adding chili pepper in the form of hot peppers, cayenne pepper or hot pepper sauce can help boost your metabolism and suppress your appetite. Studies have shown that people that add spice to their food consume less calories at meal time and burn in the neighborhood of 10 extra calories. In addition, I find that spicy food has me reaching for more sips of water, so it’s a win/win! Plan meals ahead of time. When I’m watching what I eat, I am constantly thinking about food. This is the addiction factor creeping in, I know, but I am sure that this is not uncommon. Every morning, I plan out what I am going to eat that day. I try to have my biggest meal at midday and generally account for about 200 calories in snacks, which I have to do because there are couple of times a day when I have to drink juice or eat fruit to raise my low blood sugar. The benefit of planning your meals is that it helps to prevent last minute indulgences that can throw off your calorie intake. Another activity that I enjoy when planning meals is finding great low-calorie recipes. Two sites that I absolutely love are Skinnytaste and Hungry Girl. In addition to the recipes being healthy, tasty and interesting, each one includes the nutritional information as well as the Weight Watchers Points Plus values. Find reasons to add extra steps or activity to your regimen. This is one that I’ve heard for years now but it is amazing how you can rack up additional activity points or steps just be being a little less lazy. Park in the spot furthest from the door, take the stairs instead of the elevator, use the shovel instead of the snow blower or get up from your desk and walk for five minutes. It is surprising how quickly this activity can add up. Get a good night’s sleep. Sleep is a vital aspect to our lives and one that we tend to deprive ourselves of. A higher sleep efficiency leads to more focused and alert waking hours. In addition, the earlier you go to sleep, the less likely you are to engage in late-night snacking. More to the point, sleep deprivation increases the production of the hunger hormone ghrelin and decreases the satiety hormone leptin. People who are sleep deprived tend to consume more calories, are less active and compensate for fatigue with poor eating choices. Make weight loss fun! I don’t usually thing that weight loss and fun belong in the same sentence. However, one things that I have found surprisingly beneficial is doing a Diet Bet with some friends. In addition to the financial motivation of the Diet Bet, you have a group of friends with the same goal: to lose weight. The support of friends during a weight loss journey is invaluable. You can start your own Diet Bet or join an existing one at the Diet Bet site. There is also an app for Diet Bet, too! I’m so glad you’ve included my #1 DO NOT DRINK YOUR CALORIES!! And when I say this I never really think about an occasional alcoholic beverage, I think about those people who bust their butts on a treadmill and then drink a calorie laden sports drink OR a smoothie!! WATER it’s all you need!! Also the pound of fat vs pound of muscle! The amount of reasonable intelligent people who will tell you “Well, muscle weighs more than fat!” is astounding! Especially when it comes from so-called “fitness professionals”! Another of my favorite tips is “Get out that measuring tape”! On your weight loss journey if you’re including exercise (which you should) sometimes the inches drop before the scale moves! And lastly we all like to say “Well, I deserve this drink or cup cake or bag of chips!” but in reality what we deserve is a healthy life! ❤ you got this, girlfriend! Yeah – I forget the number of people that drink their calories in the form of sports drinks, smoothies and also juice bar products (because I don’t typically drink them). They are highly caloric. A 12oz Tropical Greens Jamba Juice is 160 calories! When you are budgeted at 1,200 calories a day, a drink that claims 13% of those calories is a significant dent in my allocation! I have really been trying to drink only water or black tea. The exception is when I drink juice to raise my blood sugar, which just makes me mad because I’d rather be eating those calories!